Pianist, composer and arranger. Born in Zaragoza (Spain) in 1977, Antonio Ballestín soon developed his musical vocation in various areas, with an intense activity in classical music and various popular music genres. First musical studies in his hometown with Javier Laboreo. 1998 moved to Barcelona for a degree in classical piano with Miquel Farré and a degree in Musicology. In this city he discover Jazz and Composition with masters such as Guillermo Klein and later Joan Albert Amargós. 2006 moved to Holland thanks to a local bursary, studied in Codarts (Rotterdam) Composition and Arrangement with Paul van Brugge, and Jazz Piano with Kris Goessens. In 2010, he obtained his degree, followed by Nuffic Scholarship to study a master in Classical Composition. In 2012 he moves to London thanks to a new bursary of City University for Film Music. His music has been heard on numerous stages and in festivals like Rotterdam Jazz International (2008), Red Sound Festival (2008), Youth Opera Festival (2007), Sofia Musik Week (2009), Tromp Percussion (2010), Cycle of Great Soloists Pilar Bayona of the Auditorio de Zaragoza (2011), Cicle Youth & Classic of the Ateneu Barcelonès (2011), Cicle PLG Young Artists (2012). Some of his works have also been included as part of programs in Higher Music Institutions, like the Royal Conservatoire of The Hague (Holland), City University (London), Zurich University for the Arts (Switzerland), Escuela Superior Reina Sofía (Madrid), or Conservatorio Superior de Música de Aragón (Spain). Among the groups that have performed his music, special mention should be given to the Classical Jazz Ensemble, Rotterdam Shymphonic Jazz Orchestra, Codarts Shymphonic Jazz Orchestra, Magogo Kammerorkest, West Coast Big Band, Bulgarian National Radio Orchestra & Big Band, London City University Big Band, Classical Jazz Ensemble, Shymphonic Band of Alcañiz, Wonder String Quartet, Rotterdam Ensemble, Terpsichore Guitar Quartet, violinist Alma Olite and cellist Pau Codina. Experiences in film (“Robot Shymphony” by Arno Volkers (Belgium), or the production “Megumi” by MIRFILM (Holland)) and theatre (the play “Anne Frank and the Stars” by Saltatium (Madrid)). 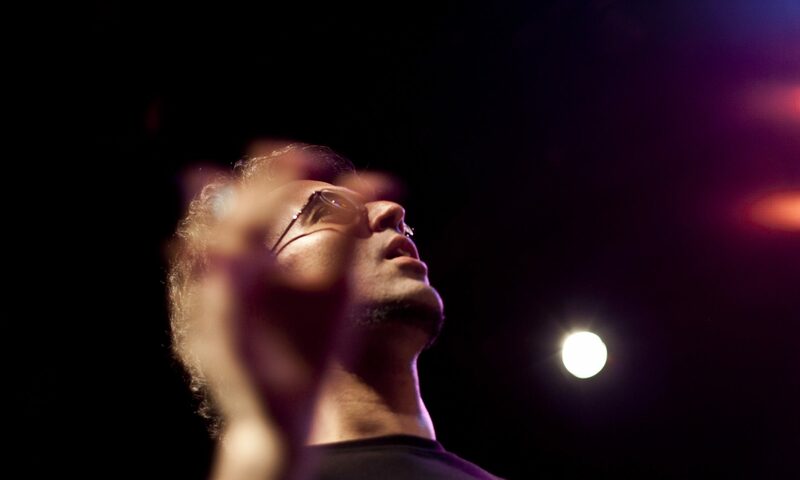 Among his activities as pianist, highlights include the creation in 2003 of the group “Bitácora”, dedicated to the fusion of genres such as jazz, folk and contemporary music. He won First International Composition Contests like the Federico Mompou (2010) or the Italy Pas (2012). His main works have been published by Molenaar Edition (Amsterdam), Editorial Boileau (Barcelona) and HoneyRock Publishing (USA). Musician with a wide training and experience as composer (arranger and copyist), performer (classical and jazz), and conservatory teacher (of piano and musicology), searching for a job in London. Mainly interested in challenging and creative projects in the british music and film industry, but also interested in music publishing companies (score edition) and music education (classical and jazz piano, music theory, composition and musicology). Skills developed: My academic training has been complemented with very varied experiences in real world, like working on own initiative, working under pressure, team working skills, interpersonal skills, organizational skills, administrative skills, attention to detail …etc. Composition International Prizes: “Federico Mompou” (2010), Italy Pas (2012). Commissions and Premieres: by various Orchestras and Ensembles, and for important Festivals. Scores published: in HoneyRock (2012,USA). Molenaar Editions (2008,Holland), Boileau ( 2011,Spain). Music Teacher in Oficial Professional Conservatories of Spain (Zaragoza, Tarazona, Huesca, Monzón). Compositions included in Master / Bachelor programs (Holland, Spain, Switzerland, Portugal and UK). Various Sholarships: AIE (2002), DGA (2006), SGAE (2009), Nuffic (2010), City University (2012). Arranger, Pianist and musical director of spanish cover bands (Krisol, Sprint, Salamandra, Totem, Milenium, Funkytown, Equi, Rockopop…) and own Jazz fussion septet (Bitácora). Organist and pianist, in various religious services (weddings, baptisms, and other services), alone and accompanying choirs. Member of Choir “Locus Amoenus” taking active part in organising concerts. Score Edition for companies (2007-): Editorial Boileau, Honeyrock Publishing, Molenaar Edition. Copyst for composers Robin de Raaf, MirFilm (Amsterdam); Andreu Jacob (Sweden); S.Gomez Toldra. Transcriptions and Score Editions for registering- SGAE. – Piano Teacher– Profesional Conservatory of Music, Monzón (2008 – 2010). – Piano accompanist– Profesional Conservatory of Music, Huesca (2007 – 2008). – Music History Teacher– Profesional Conservatory of Music, Tarazona (2003 – 2004). Profesional Conservatory of Music, Zaragoza (2002 – 2003). – Private Lessons– Classical & Jazz Piano, Music Theory, Ear Training, Music Software…(1995 – 2003). Library Responsible– Conservatory of Tarazona (2003-4). Concerts organizer- in Conservatories (quarterly, Christmas, Eastern, End of Course…and other cultural promotional events) and University (Codarts) (2004-2012). Courses organizer– “Flamenco musical language, by guitar player Jorge Berges”, “Finale”, “Introduction to Jazz and improvisation”…(Tarazona 2004). Founder member of “Orpheos Musica” (2002)- Music association with the goal of organizing courses and festivals (“Piano Course by Olga Semousina”, “Musicas Anfibias” festival…). Full Member of ACC (Catalan Composers Asociation). Full Partner of SGAE (General Society of Autors and Editors). PC and MAC (Fulli competent in Microsoft office and iWork suites). Score Editors (both Sibelius and Finalle). CATALAN- Several courses, Bachelors in Catalonian University. “Doktor Faustus”, for Cello Solo, officially premiered by Pau Codina, First Prize in the International Composition Competition Federico Mompou 2010. “Nosferatu”, for Violin Solo, dedicated and premiered by Alma Olite. “Like an eagle”, for Guitar Quartet, commissioned, dedicated and premiered by “Cuarteto Terpsícore” , 4th august 2013, Festival de la Ribagorza (Huesca). “Sólo si me perdonas”- Codarts Big Band, Álvaro Corcuera as Singer Soloist. “The meaning of being a Nardis”, Codarts Big Band, Kaan Biyikolou on piano. “Love for Sale”– Codarts Big Band, Elizabeth Simonian as Singer Soloist.